Blackfoot Gypsies, "Under My Skin"
The Southern rock revival is happening, and Blackfoot Gypsies are behind the pulpit. Snakeskin boots, fringe vests, flowing locks and oversized sunglasses: This Nashville 4-piece radiates rock-and-roll stardom. 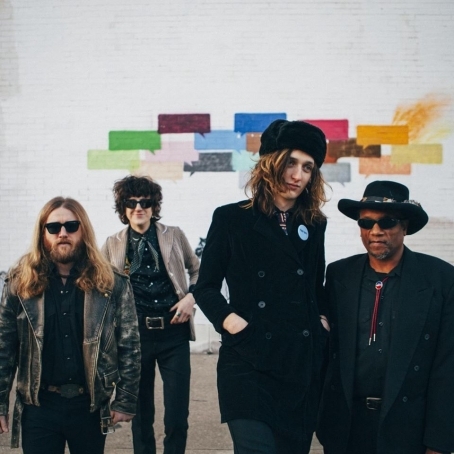 And with the musical chops to match, Blackfoot Gypsies are making sure Southern rock is alive and well, and having a damn good time doing it. Shortly after signing with Plowboy Records earlier this year, the guys dropped their latest LP, Handle It, in April, followed by a video for their swampy voodoo single, "Under My Skin." Their home-cooked brand of Southern punk rock deserves to be cranked loudly and often, and their live show, packed with harmonica wails and high kicks, is more of a psychedelic spiritual experience than anything else.